Fahrelnissa Zeid was born Fahrunnisa Şakir into an aristocratic, artistic Ottoman family in 1901. Her privileged home life unravelled in 1914 when her older brother was convicted of killing their father. In 1919 she enrolled at the recently established Academy of Fine Arts for Women. The following year she married writer İzzet Melih Devrim, with whom she had three children, Faruk (1921–1924), Nejad (1923–1995) and Shirin (1926–2011). The early 1920s saw radical social and political change, with the overthrow of the Ottoman Empire and the establishment of the Republic of Turkey. In 1929 Zeid enrolled at the State Academy of Fine Arts in Istanbul, but quickly became dissatisfied and left without a degree. Zeid and Devrim divorced in 1934. Shortly afterwards she married Iraqi ambassador Prince Zeid Al-Hussein and moved to Berlin. 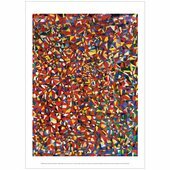 Zeid returned to live in Istanbul in 1943 and was introduced to the d Group, artists central to the development of modern art in Turkey. She began to exhibit with them and in 1945 held her first solo exhibition in her flat in Istanbul. 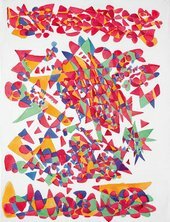 Having left the city in 1946, Zeid returned for a major mid-career show in 1964, which also travelled to Ankara. Her work began to attract significant interest again in Turkey in the early 1990s. In 1935 Zeid moved to Berlin with her second husband, Prince Zeid Al-Hussein, who had been appointed Iraqi ambassador to Germany. Their son, Prince Raad, was born there in 1936. 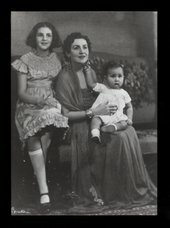 Nejad and Shirin, Zeid’s children from her first marriage, joined her in the city, where she devoted much of her time to diplomatic duties. She visited museums and galleries around Europe, but there is little evidence of her own art from this period. Charming and charismatic, Zeid quickly rose to prominence in German society. She was invited by Adolf Hitler for tea at the Reich Chancellery, where they discussed their mutual interest in painting. 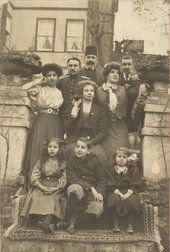 In 1938 when Hitler annexed Austria the family were recalled to Baghdad. Zeid’s husband, Prince Zeid Al-Hussein, was the youngest son of Hussein ibn Ali, Sharif and Emir of Mecca, and brother of King Faisal I of Iraq. In 1938, as tensions in Europe began to escalate, the couple relocated from Berlin to Baghdad. As a member of the Iraqi royal family, Zeid’s life in Baghdad was more constrained than in Berlin, Paris and Istanbul. Further isolated by her inability to speak Arabic, she became ill and depressed. On the advice of a doctor, she left Baghdad and returned to Europe. Her husband returned to Iraq each year as acting regent while the king went on holiday. In 1958 the Iraqi monarchy was overthrown in a coup d’état and the royal family was assassinated. That year Zeid had convinced her husband to holiday with her on the island of Ischia rather than return to Baghdad, which spared the couple the same fate. However, Prince Zeid Al-Hussein was immediately relieved of his post as Iraqi ambassador to the United Kingdom. 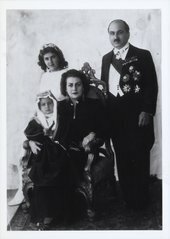 In 1946, Zeid’s husband, Prince Zeid Al-Hussein, was appointed Iraqi ambassador to the United Kingdom and the couple moved to London. Zeid established a studio in the embassy and began hosting regular salons there. 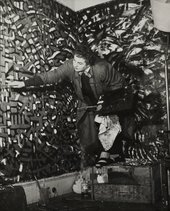 The many artists and intellectuals she entertained included Henry Moore, Marc Chagall, Giorgio de Chirico, Lee Miller and Roland Penrose. After the 1958 coup d’état in Iraq, Prince Zeid Al-Hussein’s ambassadorial post was withdrawn and the couple moved into a modest rented flat. Traumatised by events in Iraq and adjusting to her new life, Zeid stopped making art for a time. This period did however open up new possibilities: at the age of fifty-seven, Zeid cooked her first meal. Leftover turkey and chicken bones became the inspiration for her paléokyrstalos sculptures. Zeid was exposed to French culture as a young child in Istanbul where she attended a French convent school. When she had an opportunity to study abroad in 1928 she chose the Académie Ranson in Paris. While struggling with ill health and depression in Baghdad in 1938, it was to Paris she desired to return. The allure of the city remained strong throughout Zeid’s life. In 1946 Zeid established a Parisian studio and quickly immersed herself in the French art scene. Over the next two decades, while living between London and Paris, Zeid’s work was championed by some of France’s most influential critics and she exhibited in prominent Parisian galleries. In 1969 Zeid and her husband relocated permanently to Paris. A year later Prince Zeid Al-Hussein died. Zeid sought comfort in her work, creating large scale portraits of those closest to her. 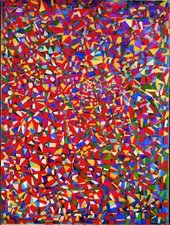 In her first solo exhibition in America, The Oriental Painter, Fahr-El-Nissa Zeid, at The Hugo Gallery, New York, Zeid presented several of her new abstract paintings, including a monumental kaleidoscopic canvas. Gallerist Alexander Iolas subsequently wrote a commiserating note to Zeid, explaining the resistance to her work in relation to the rise of abstract expressionism, a ‘new American school, very nationalist and antiforeigner’ that will ‘save world painting and deliver condemnations, like the Last Judgement.’ Although the reception was not what Zeid or Iolas had hoped for, the ambition of this exhibition was extraordinary for its time. You must forget what you know because what you know is what you have learned, but what you do not know is what you really are. Although the classes remained informal, one of her students officially registered the Royal National Jordanian Institute Fahrelnissa Zeid of Fine Arts, in recognition of Zeid’s contribution to the development of the country’s art scene. Zeid continued to work, exhibit and teach until her death in Amman in 1991. WHICH ART SUPERHERO ARE YOU? 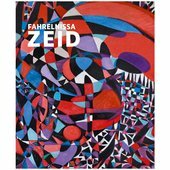 Do you have the power to dazzle like Fahrelnissa Zeid? Get some ideas and discover which art superhero you are! Every effort has been made to trace the copyright holders of the images reproduced. Tate apologises for any omissions that may have inadvertently been made.